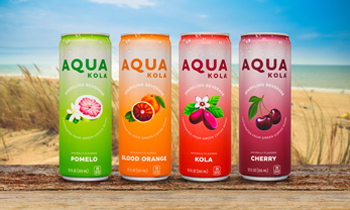 Previously launched as Aqua back in 2016, Aqua Kola is a restaged and more polished looking product than its predecessor. 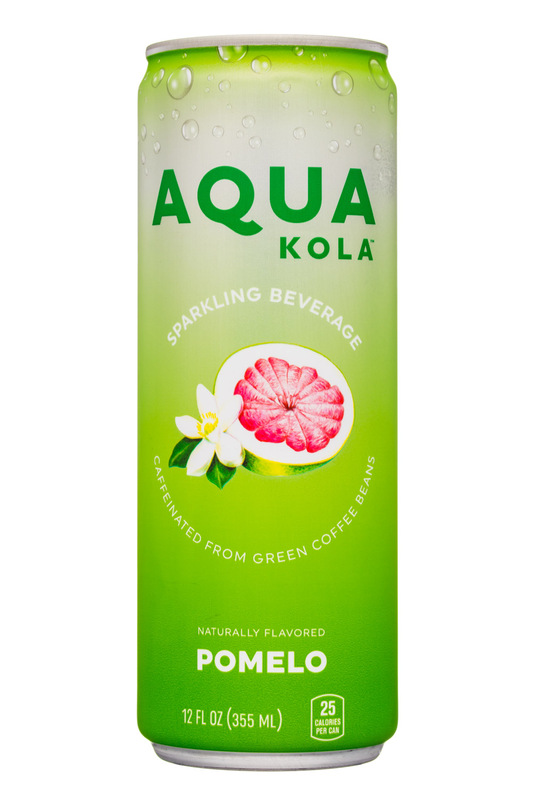 Featuring four flavors, including Kola, Cherry, Blood Orange, and Pomelo, Aqua Kola is a low calorie (25 per 12 oz. 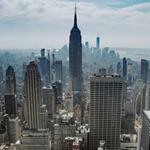 can) sparkling beverage that features 42 mg of caffeine (extracted from coffee beans). 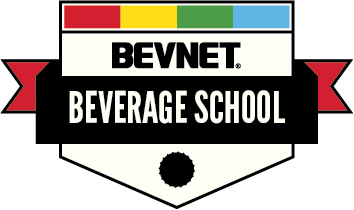 The drinks are sweetened with a blend of erythritol and sugar and contain 5g of sugar per can. 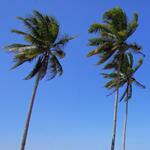 In terms of taste, the products drink like diet CSDs. 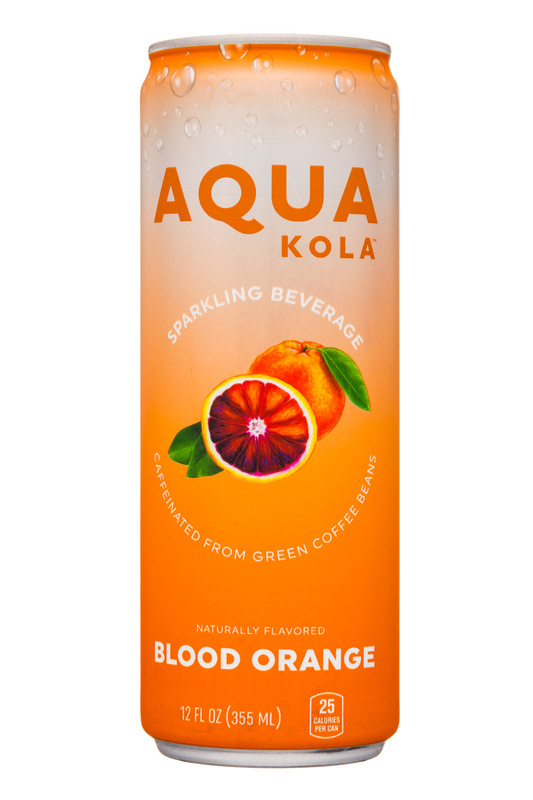 They’ve chosen flavors that are familiar, but slightly elevated: Cherry tastes like a classic black cherry soda, Blood Orange like a classic orange with a bit more depth, Kola like, well, cola, and Pomelo like lemon-lime. They’ve also kept the clear colored formulations of the brand’s first version, which we think is a smart choice even though you can’t see the liquid. This also helps the product keep a clean and short (four) list of ingredients. Ultimately, all four of these flavors are crisp, clean, and pretty flavorful. 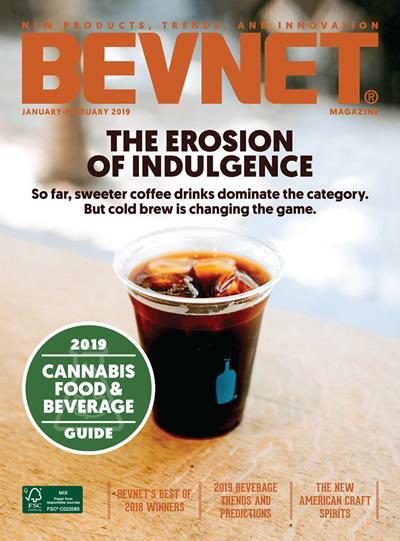 As far as reduced calorie CSDs go, these can definitely hold their own and will probably appeal to consumers who want a more premium flavor than the larger brands. Premium is a trend that continues with the look of the packaging. They’ve employed a sleeve label to create a product that is vibrant looking and has sharp graphics. There’s a fruit graphic on the can that catches the eye, although the Cherry and Blood Orange images are likely to be the only ones that are recognizable. 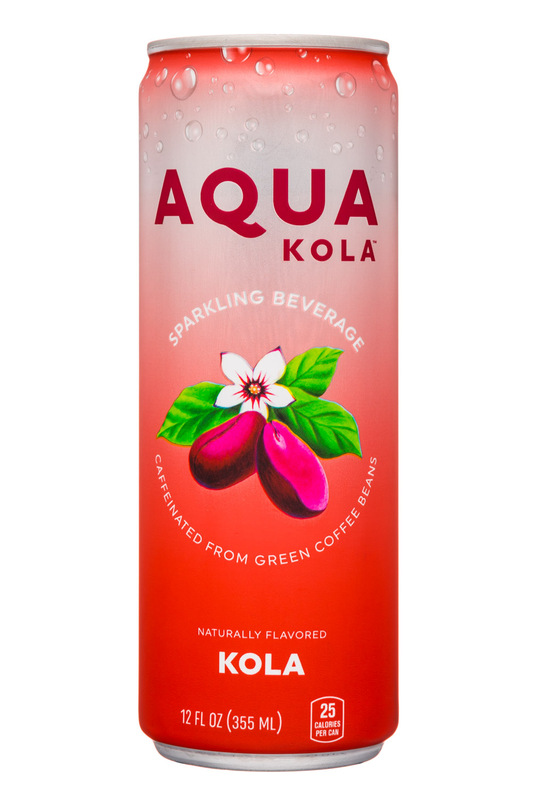 Our biggest concern with what they’ve created is the use of the word “Kola” across the entire brand. This will certainly make some consumers think that this is a line of cola products, which is at odds with the rest of the design and messaging. 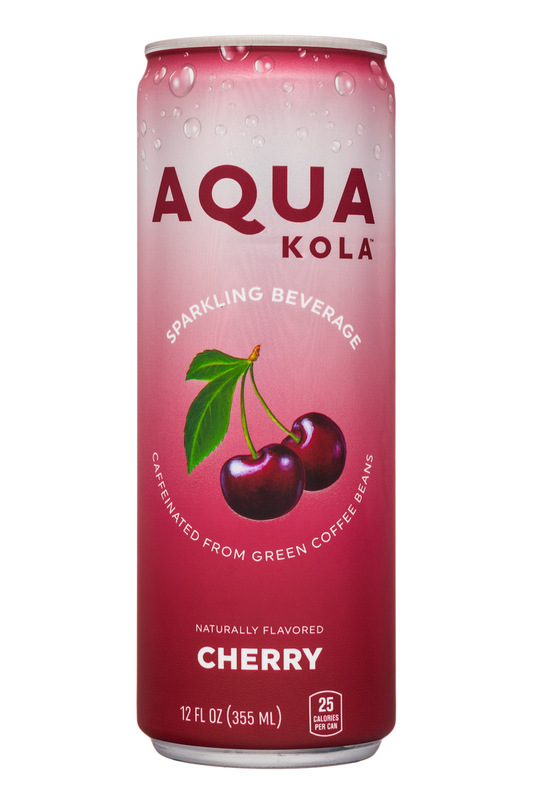 In the end, we feel as though Aqua Kola is pretty close to where it needs to be in order to be a viable option in the diet CSD category. The flavors are tasty and the packaging looks nice, but there’s a small issue with the messaging that might hold the product back.